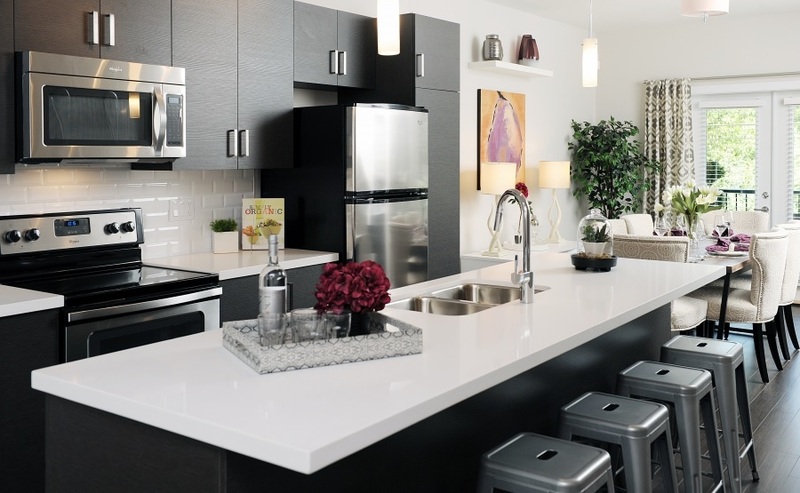 With Lakewood‘s “Make It Your Own” promotion, all new buyers at Fusion will receive a complete upgrade package as well as a $2,500 shopping spree to Ikea so they begin decorating their new townhome with new furniture. Set in Surrey’s desirable Sullivan Heights neighbourhood, Fusion is a collection of family-sized homes surrounded by local amenities, including the Panorama Village Shopping Centre, YMCA, restaurants, The Bell Centre for the Performing Arts, parks, a number of schools and public transit. Inside, each home features a free-standing fireplace and entertainment unit, large windows, nine-foot ceilings, open kitchens, energy-efficient stainless steel appliances, luxurious bathrooms, powder rooms on the main floor, private fenced-in yards, and single or tandem garages. Fusion residents will also have access to shared community amenities such as a two-level clubhouse and outdoor children’s play area. For more information on remaining homes and the “Make It Your Own” buying incentive, visit the presentation centre at 13886 62nd Avenue in Surrey between 12pm and 5pm Saturday through Thursday. For more information call 778 578 9779, email info@liveatfusion.com or visit their website here.